“Animamix Biennial” refers to that several artistic institutions hold exhibitions related to Animation and Comics at the same time or in succession so as to construct an exhibition network and accumulate the new force of modern Animation and Comics." 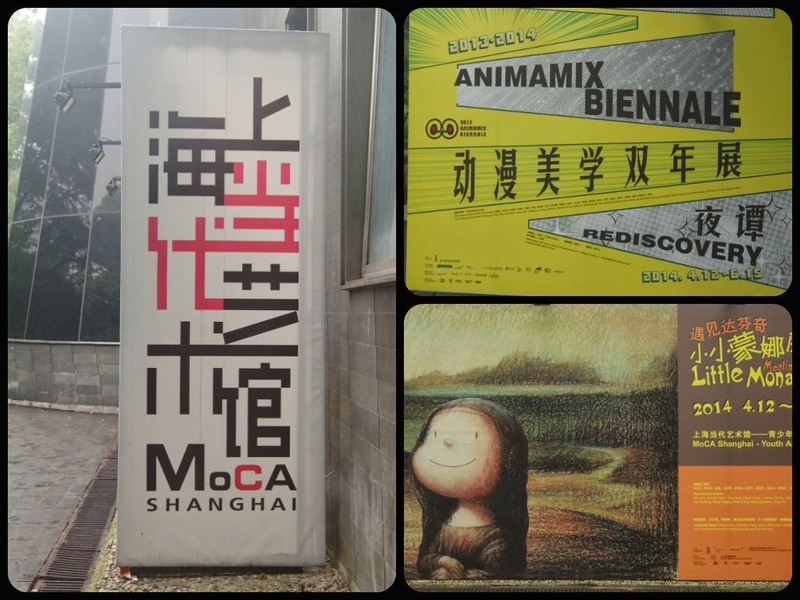 Google translated English aside, the Animamix Biennale at the Museum of Contemporary Art in Shanghai promised an exhibition related to animation and comics and I hoped to see some cute works of art, but instead found the exhibition to be lacking in the kawaii section. Amid the "Uterusman" images of gore and bones, there was one shining hallway that called out to me. The hallway exhibited several figures and paintings that are charming and heart warming in both color and execution. "Little Mona Lisa", is another exhibition currently on display at MoCA. Perhaps it was because I went in without any preconceptions about the exhibition that I enjoyed it so much. In fact, I found the Little Mona Lisa exhibition to be more interesting and evocative than Animamix. This exhibition was curated with a young audience in mind and displays many interactive installations. Here the idea was to write a message of hope for the world and place it according to the color coded background. * I love this Mona Lisa cat painting! A Freshlights (haircolor) advertisement using Blythe doll cutouts! They are about 5 feet tall! I'm not sure why they were in the museum but they were totally unrelated to the Little Mona Lisa and Animamix exhibits. On a final note, if you are searching for a cute event, Animamix Biennale is NOT what you are looking for. However, if you enjoy looking and interacting with art, both exhibitions at MoCA are sure to provide you with an enjoyable experience.